Wargaming has decided to buff the French Premium Heavy Tank AMX M4 mle. 49 based on the community feedback. 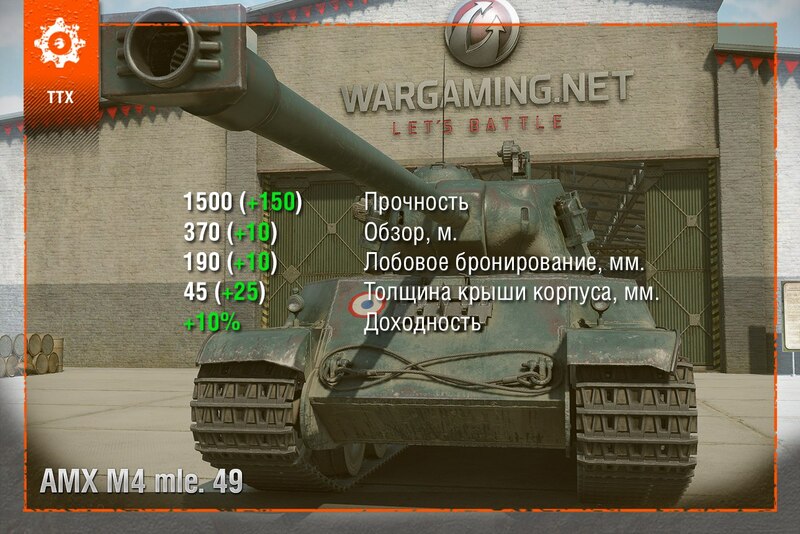 These improvements should improve the tanks survivability and cope with it’s main task: earning credits. These changes will be implemented on the 11th November. Cheeks are 340ish when pointed straight on… LG is 250. since the UG is going to be 264 there will no need to angle this tank at all. Need to keep this in perspective the commanders hatch is huge and weak at 60mm no one will be aiming at anything other than that…. so it has awesome armour BUT everyone can pen it frontally so… who cares ?